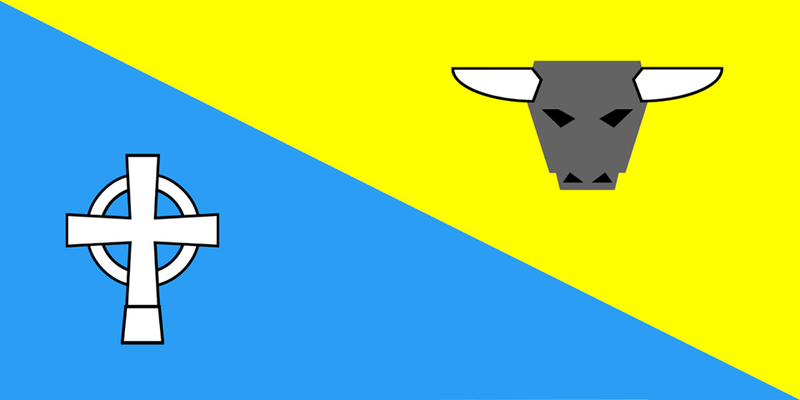 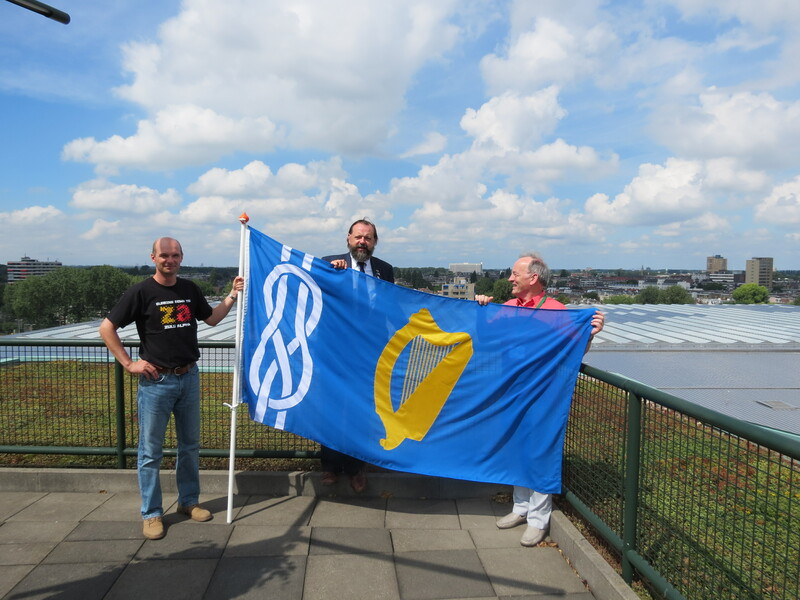 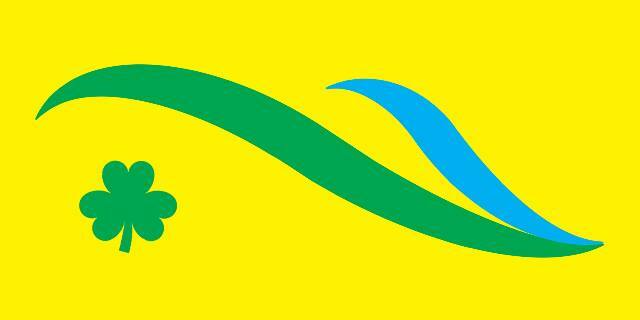 The official flag for Vexillology Ireland was designed by Stanislav Zamyatin and first used at the 25th International Congress of Vexillology and the 23rd General Assembly of FIAV held in Rotterdam, Zuid Holland, in August 2013. 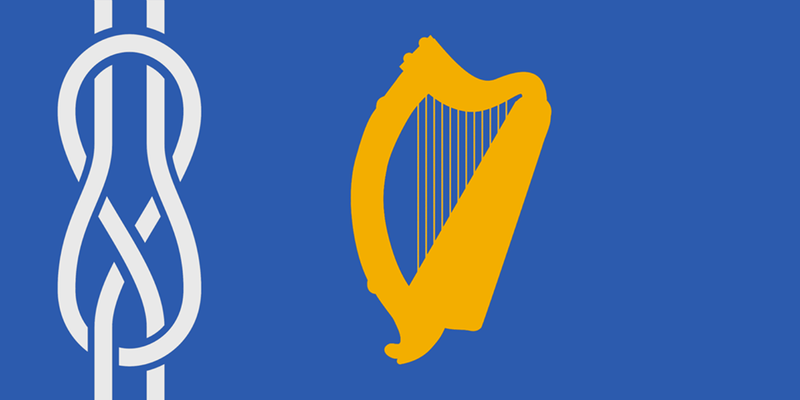 The flag incorporates the heraldic banner of Ireland based on the Arms of Ireland – Azure, a Harp Or, Stringed Argent – which is also used as the Presidential Standard in Ireland and is flown over Áras an Uachtaráin (Presidential Palace) in Dublin. 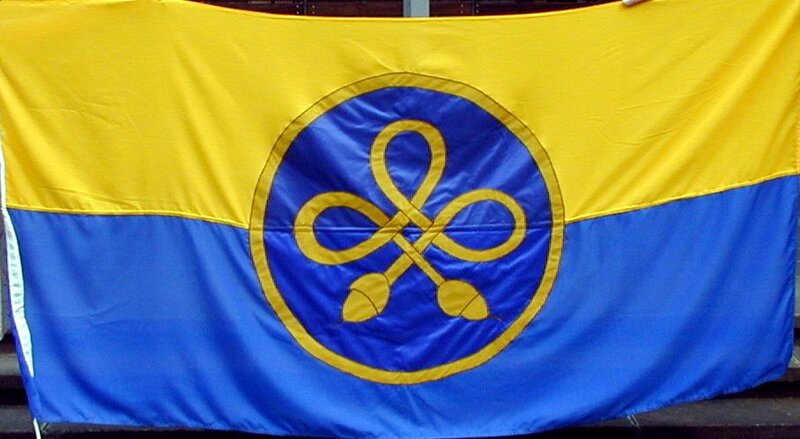 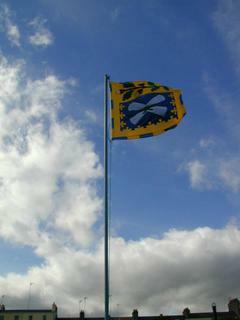 The international symbol for vexillology as established by FIAV is shown at the hoist of the official flag of Vexillology Ireland. 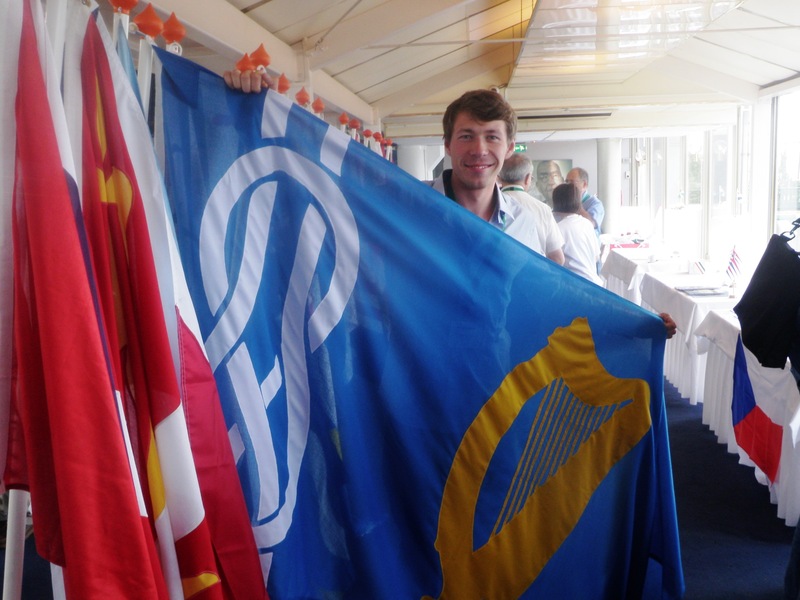 Tom Conlon, MSc, MGSI, is shown above (right) flying the flag for Vexillology Ireland at the Rotterdam Congress. 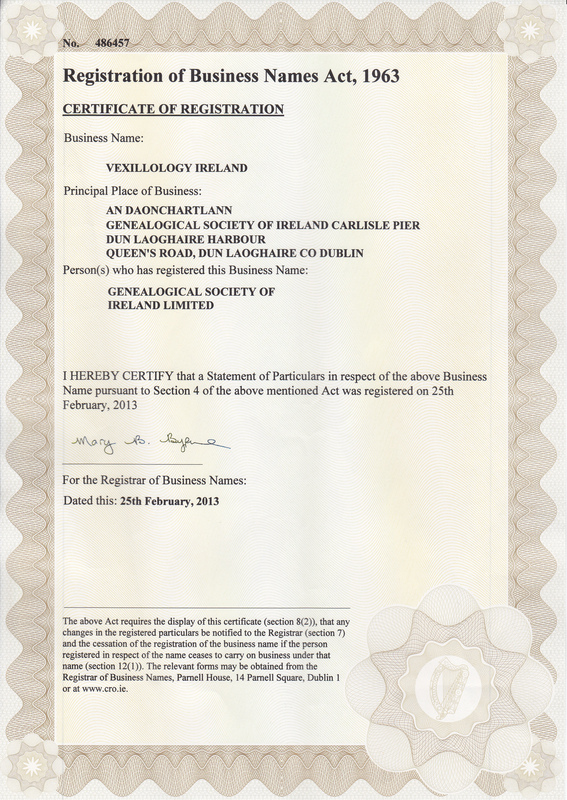 The official flag of Vexillology Ireland is generally praised for its elegance and distinctiveness – easily portraying the link between Ireland ancient vexillological and heraldic heritage.